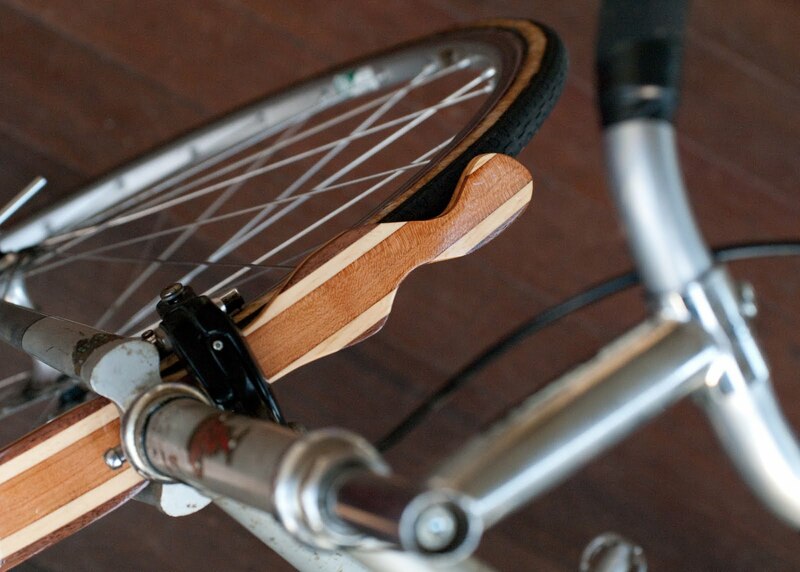 If you add only one accessory to your commuter this season, make it custom-built wooden fenders. Mr. CM made these with his own two hands, and is quite pleased with how they turned out. Oh no, not just my own two hands. I had six helping hands aging from 7 to 14--and they were truly very helpful. Just for the record, center stripe is cherry, two inner stripes are recycled clear pine, outside edges are black walnut. It's not everyone who can appreciate the geekification of one's wheels. Quite a nice piece for the bike. A new line of work, perhaps? Beautiful work! And just in time with all this rain. Mr. CM has entirely too much time on his hands!